Control your garden watering from anywhere in the world with a smart phone App (IOS or Android operating system). Cloud Controller Extension (2218) also available. 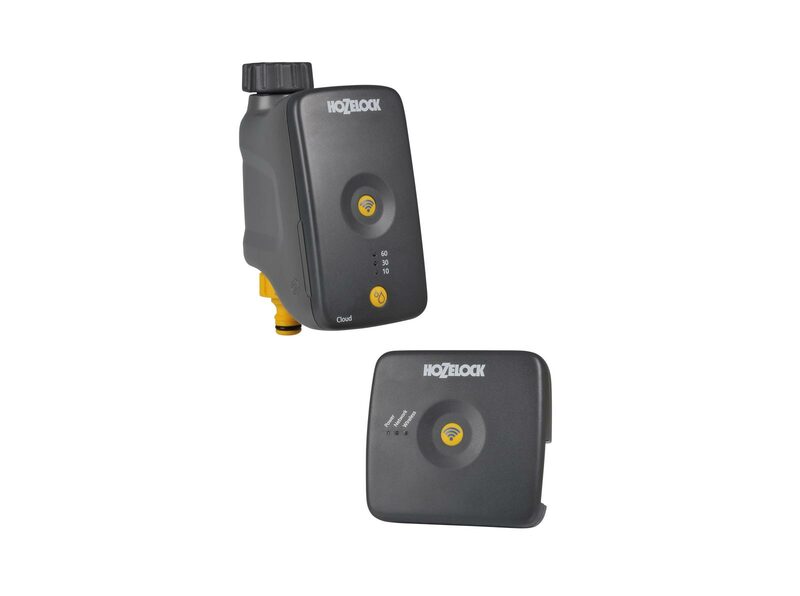 Control your garden watering from your mobile phone – The Hozelock Cloud Controller provides the easy way to control your garden watering. It doesn’t matter if you are on holiday or at work – your plants will no longer need to suffer if weather conditions change. The App is linked to a weather service – to provide you with local information and notifications to alert you about changing weather patterns so you’ll never be caught out. Easy to set up unique schedules for your garden to create optimum watering patterns suitable for different seasons or selected areas of the garden. If the weather changes you can make temporary amendments to your schedules or pause watering for up to 14 days, if wet weather is forecast. Dispense water outside of your schedules, the Water Now button can be used to turn on the watering for up to 60 minutes using the App. Simply press again to cancel the operation for shorter periods. 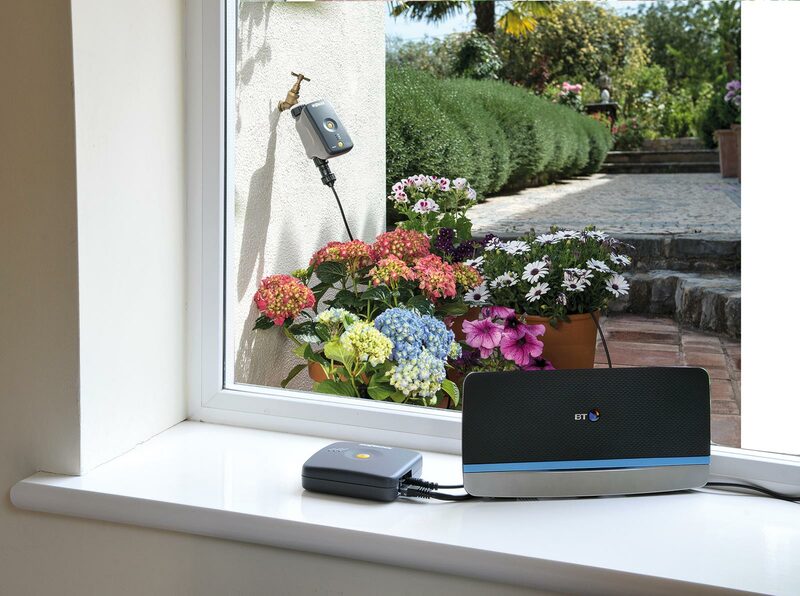 Expandable & Powerful – The Hub links wirelessly with the remote tap unit in your garden that can be positioned up to 50m away, and each Hub is capable of supporting up to 4 remote taps that can be installed to control different areas of your garden. Battery Status – Simply press the button to check the status of the batteries. The 3 LED lights will illuminate to indicate the strength of the remaining battery life. 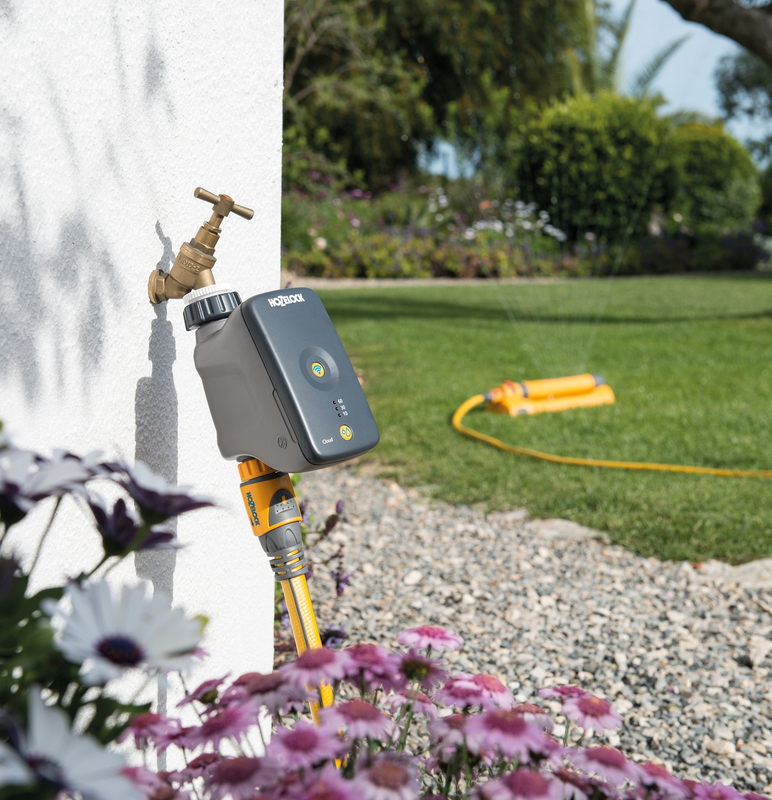 Failure Prevention Mode – A built in safety feature detects when the battery levels have dropped to a level that could fail whilst a watering schedule is in progress. The LED indicator lights will flash red when the batteries need to be replaced. Versatile Usage – The Cloud Controller is a versatile unit that can be used with Garden Sprinklers (up to 10 Bar), low pressure micro irrigation watering (1.5 Bar) or Water Butts (0.1 Bar), due to the unique ball valve component.